The KeyLines toolkit includes powerful, flexible filtering functionality that you can easily use in your network visualization application. Filtering allows you to manipulate visualizations to show only the nodes and links you need and want to see, helping you to find the connections you need to know about, and discover new insight along the way. Filters can be applied to any characteristic you define. You can then show or hide those groups of nodes on demand, filtering them in and out of the chart. They are particularly time-saving when you know you want to explore only one subset of nodes, focusing on the smaller details hidden beneath layers of information. Conversely, filters can help you explore the chart from a macro level, seeing how groups of nodes affect the interactions and dynamics of the whole graph. Using filters to show and hide clusters of nodes, you can view interactions and connections between groups, discovering dependencies and connections that might not be immediately visible. 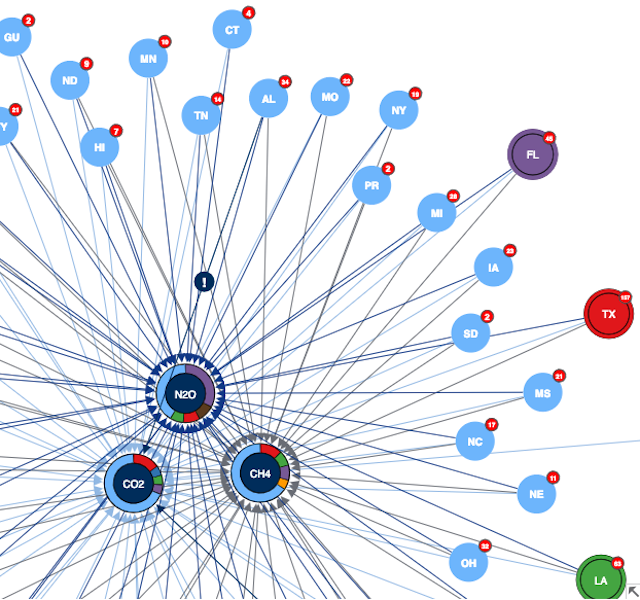 Learn more about visualizing very large networks. Tick this box to get the latest news & tips by email. You can unsubscribe at any time. In this blog post, we'll describe five of our favorite ways to breathe new life into your graph visualizations with stylish glyphs. 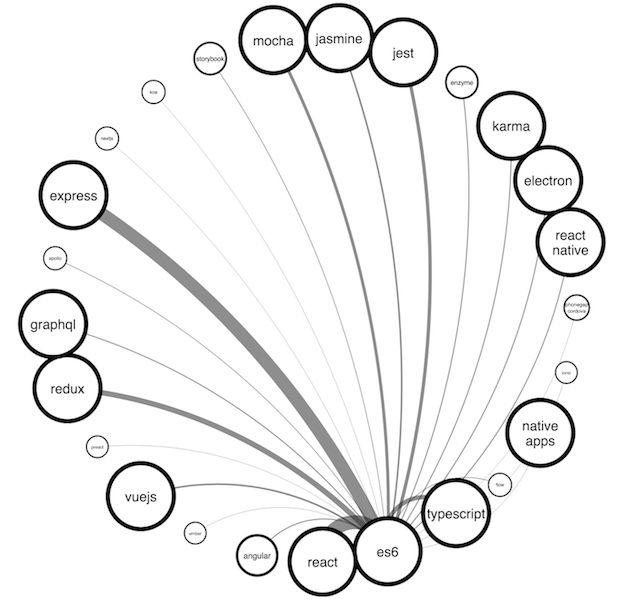 In this blog post, a first-time KeyLines user describes their experience of using the graph visualization toolkit to create their own visualization. There are so many visualization options to choose from. In this post, we examine the pros and cons of one popular choice: chord diagrams. Registered in England and Wales with Company Number 07625370 | VAT Number 113 1740 61 | 6-8 Hills Road, Cambridge, CB2 1JP. All material © Cambridge Intelligence 2019.